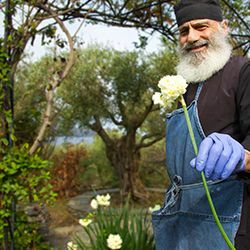 Blog | Monastery Products | From Mount Athos to your home! 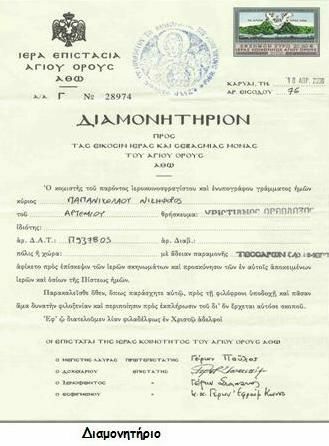 In order to visit Mount Athos you need to plan the precise date of your entrance in it.Then you must contact the pilgrims office of Mount Athos in Thessaloniki so that you can issue the necessary diamonitirio. Dafni, the largest port of Mount Athos, is a small settlement. 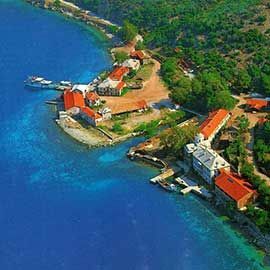 It is located on the south coast of the Athonite Peninsula between the Xeropotamou Monastery and the Monastery of Simonopetra. 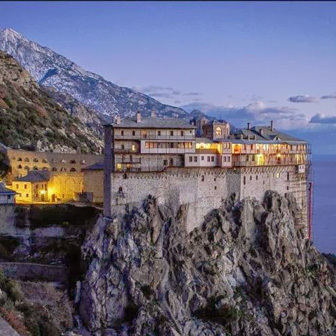 It is mainly used as a port and point of entry into the monastic state of Mount Athos, with daily routes from Ouranoupoli. 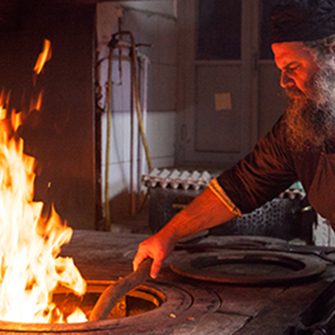 Based on our store, which is located in Daphne, the seaport of Mount Athos, we search , try and gather handicrafts of great quality and products which are mainly produced by the monks who live both in the cells and the monasteries of Mount Athos. 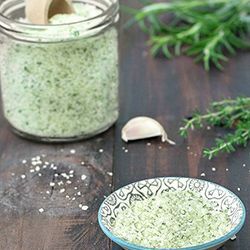 The monastic diet is not only what we call the Mediterranean diet. It is much more. It is that monks still eat in the traditional way. Μonks do not breakfast, lunch and dinner. 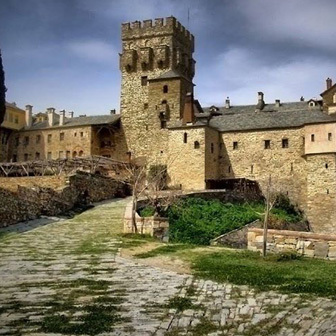 In the monastery there is morning and evening ''trapeza''(dinner). Two meals a day, just with regular breaks. Meals lasting about twenty minutes, without noises and discussions, as the the Athonite monk Epiphanius Mylopotaminos says. 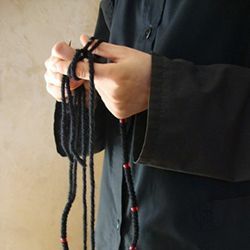 Fasting is an essential aspect of practicing the Orthodox life. 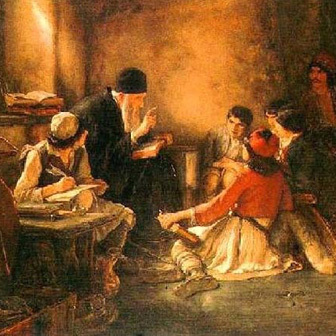 You cannot be Orthodox and not fast. Unfortunately, many in the Church today do not participate in this grace-bestowing and life-giving ascetic practice. 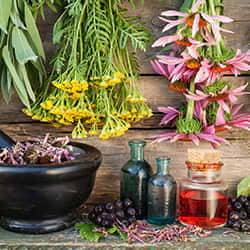 They do this to the loss of their own spiritual and bodily health. Devotional lamp, candle, incense, What is their meaning and their symbolism? The word candle comes from the Latin word candela = candle. 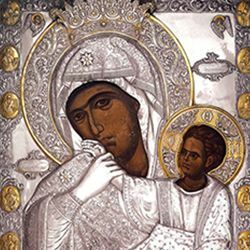 In the Christian Church, the candle is put in front of the sacred icon. The one located in front of the Crucified , in the sanctuary, is always kept alight and that is why it is called the “ vigilant” candle. A candle is also put in the house’s reredos and according to the tradition it is lighted every day. 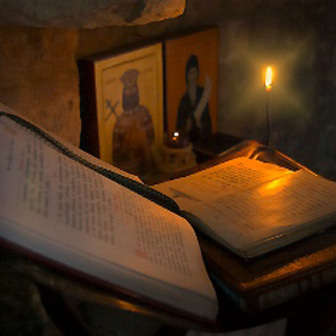 It is a habit that maintains its deep Christian symbolism with the Light of Christ which enlightens every man , warms the hope, consoles and keeps company to our endless hours of loneliness. The lightning of the candle symbolizes that this is an offer as a sacrifice of respect and honor to the God and his Saints. It symbolizes the Christ’s light which enlightens every man but it also symbolizes the well known Lord’s order to be Christians , the lights of the world. 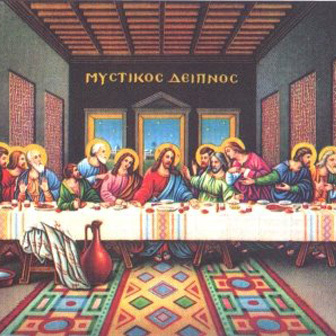 Why the Supper of Holy Thursday, called'' Secret''? The word secret (mystikos) is produced by the "secret" (mystis in greek) and this from "initiate". So the Last Supperhe was not secret and in isolation, but to reveal, show and teach the twelve disciples the Lord, that the mystery of the cross sacrifice has already taken place. 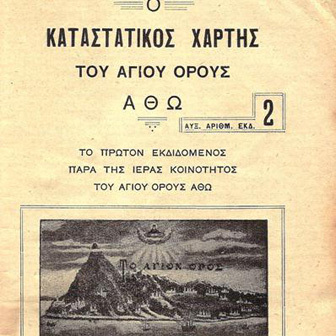 The history of Athos is associated with the sinking of two fleets. The first took place in 492 BC, when the Persian general Mardonius mounted a campaign against Athens and Eretria. His 300 ships, with 20,000 foot soldiers, sank on the rocks of Nymphaeum. In 411 BC, 50 Spartan ships, under their admiral Epicleus, also sank (Diodorus Siculus, XIII 41, 1-3). 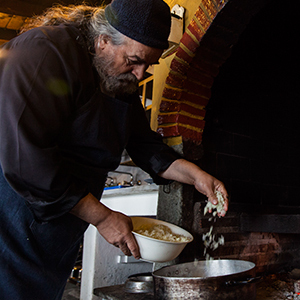 The colonisation of Athos began in very ancient times and is lost in the mists of prehistory. The first settlers we hear of were the Pelasgians from Lemnos (Strabo VII 35). After the end of the Trojan War, around 1150 BC, large areas extending from Troy as far as Chalcidice were deserted and uninhabited. It was at that time that two dynamic cities of Euboea, Eretria and Chalcis, together with Andros, colonised Chalcidice, naturally including Athos (Thucydides IV 109 - Strabo X 8, VIII 31 - Stephen of Byzantium, ed. Meineke, p. 685). One great achievement in antiquity which certainly should be mentioned is the completion in 481 of the digging of a canal across the peninsula by Xerxes. The work had taken three years (Herodotus VII 22 - Strabo VII 35 - Aelius Aristides, Panathenaeicus, 120-122 and 126-128). 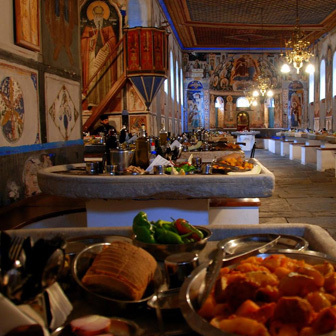 Feast is the annual celebration gathering of an Athonite lodge. 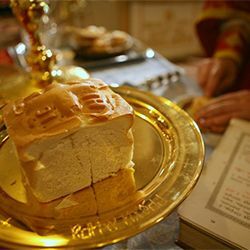 Feasts organized by the Mount Athos monasteries - sketes and celles without exception , on the day of memory of the saint to whom the church is dedicated to. 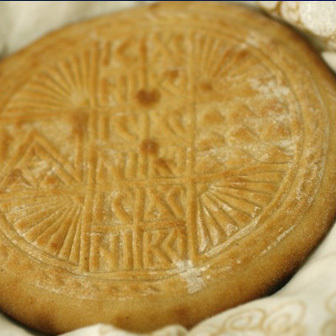 What is the Prosphoron and what are the symbolisms reflected on it with the holy bread seal ?